“… Some hooligans and political members of CUD [opposition party Coalition for Unity and Democracy] started throwing stones and crashing buses. Government soldiers and police tried to protect the buses. 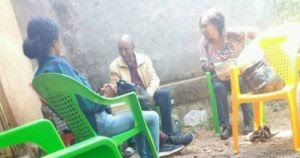 The police had to defend themselves and shoot at the hooligans… — Audio recording of Bereket Simon, prime suspect in the commission of crimes against humanity in Ethiopia in an interview following the post-election massacres in 2005. “Bereket” in Amharic means blessings. But Bereket Simon has been the curse, the scourge of Ethiopia for the past 27 years. For 27 years, Bereket Simon has caused untold deaths and political destruction in Ethiopia. Bereket Simon was the invisible hand behind the trigger fingers of those police and security officers who unleashed the massacres on unarmed protesters following the 2005 elections. In February 2019, I stand before the court of world opinion and accuse Bereket Simon, a/k/a Mebratu Gebrehiwot, of crimes against humanity in the deaths and malicious shooting with intent to kill hundreds of unarmed protesters in Ethiopia on June 8, 2005, and November 1–10, 2005. My long time readers and followers know that I got involved in Ethiopia human rights advocacy because of one and only one reason: To bear witness to the victims of the Meles Massacres of 2005 and to ultimately bring the criminals who are directly and personally responsible for those massacres to the bar of justice. As I have said so many times over the past decade, the victims of the Meles massacres cry out for justice from the grave. Though we do not know the identity of all of them, we do have a fairly substantial list of names and some gruesome photographs of victims in the Testimony of Yared Hailemariam before the Extraordinary Joint Committee Meeting of the European Parliament Committees on Development and Foreign Affairs, and Sub-Committee on Human Rights, May 15, 2006. We also have video clips of police engaging unarmed post-election protesters with machine gun fire in the background and images of severely wounded gunshot victims being transported to hospital. I have been the voice from the grave of the victims of the Meles-Bereket Massacres in the court of world public opinion for the past 13 years. They misunderstand my personal crusade against criminals against humanity. Did I undertake my quest only to seek legal accountability and vindication for the masterminds of the Meles Massacres? Did I labor day and night and post my fiery protests every single Monday for the past 13 years only to keep their memory alive? I believe not bringing to justice those who commit crimes against humanity is itself a crime against humanity. But my efforts transcend my endless crusade for justice for the victims of the 2005 massacres. I want to make sure that my efforts will contribute in a small way to the prevention of crimes against humanity in Ethiopia in the future by those in power and out of power. It is of the greatest importance to me that the younger generation of Ethiopians today and future generations to believe no individual or group will escape justice after committing crimes against humanity in Ethiopia. But there is a hard and shocking truth we must all face. The vast majority of the younger generation over the past decades has been driven into cynicism and believes that in Ethiopia those who commit crimes against humanity do so with impunity and almost always escape justice. That was the shocking truth I learned talking to some young people at random when I visited Ethiopia this past September. It will change and is indeed changing before our very eyes today. H.E. Prime Minister Dr. Abiy Ahmed is proving to Ethiopians and the world that no one is above the law in Ethiopia and those who have committed gross human rights abuses will be brought to justice. Today, dozens of such suspects are in custody awaiting trial. Others have chosen to live in hiding as fugitives from justice. By standing up and speaking up for the victim of the Meles-Bereket Massacres, I wanted to demonstrate to the present and coming generations of Ethiopians that it is their moral duty to protest crimes against humanity and to work diligently to bring such criminals to justice no matter how long it takes or how difficult the task. I want to eradicate the culture of indifference to crimes against humanity which has spawned deep cynicism in the younger generation and ensure that a culture of rule of law and accountability takes root in the hearts, minds and souls of every young person in Ethiopia today and in coming generations. Young people are acquiring the conviction that foul deeds are never punished on earth, that they always bring prosperity. In keeping silent about evil, in burying it so deep within us that no sign of it appears on the surface, we are implanting it, and it will rise up a thousand fold in the future. When we neither punish nor reproach evildoers, we are not simply protecting their trivial old age, we are thereby ripping the foundations of justice from beneath new generations. It is going to be uncomfortable, horrible, to live in such a country! Exactly seven years to the month, I wrote about the Ethiopian Gulag prison system. I do not want to see the New Ethiopia we are struggling to build to be an uncomfortable and horrible country for our young people of today and tomorrow. The only way to prevent future crimes against humanity is by learning from the past and by bringing criminal perpetrators swiftly to justice. We must show absolute resolve in this commitment and learn from the experiences of others. The great Nazi hunters spent decades dedicated to the search and arrest of Nazi criminals against humanity including Simon Wiesenthal, Efraim Zuroff, Serge and Beate Klarsfeld, Elliot Welles, Rafi Eitan and many others. We must understand that the great Nazi hunters were all private individuals whose consciences were seared by the crimes against humanity committed on their people and were moved to action to bring those responsible to justice. When the Nazi Hunters captured Holocaust organizer Adolf Eichmann, Mossad chief Isser Harel told his men: “For the first time in history the Jews will judge their assassin, and for the first time the world will hear the full story of the edict of annihilation against an entire people”. In my tiny and insignificant, but absolutely unrelenting and indefatigable way, I too want the world to hear for the first time the full story of the massacres of hundreds of unarmed protesters in 2005 and see the people of Ethiopia pass judgement on the wicked gang of assassins responsible. The search for justice for victims of injustice is never, never a waste of time. Anytime is the right time to do justice. Of course, they all laughed at me for the last 13 years and said I was dreaming an “impossible dream and fighting unbeatable foe carrying an unbearable sorrow” and crying in the wilderness trying to bring to the bar of justice a ruthless gang of murderous thugs. I dare say my cries were not bootless. They helped bring a magnificent Abo Shemane (Cheetah) who goes by the name Abiy Ahmed. My life has been all about dreaming about making the impossible possible. You cannot expect to walk freely after committing murder. The only choice is to be held in government custody or self-imprisonment. There is no one in Ethiopia today who has been accused by the government of committing corruption and human rights abuses who is not in custody. The only difference between those in government custody who are taken care of properly at public expense and those who have voluntarily jailed themselves. Those in official custody enjoy the benefits of proper accommodations, family visits, sports activities, access to reading and writing materials and are free from harassment in detention. I don’t think those who have imprisoned themselves enjoy these benefits. No doubt, the fugitives from justice may hide out in their ethnic enclaves. They can remain holed up in fancy hotels or curl under the rocks from which they came. They may even sit quietly amongst us hoping not to be noticed. The fact of the matter is they can run in circles all they want, but they can’t hide from the long arms of justice. All of them will be brought to justice, if not today, tomorrow; if not tomorrow, next week or next month, next year or the years after that. Of that I am certain just as I am certain the sun will rise tomorrow. The Justice Train has arrived in Ethiopia emblazoned with the words, “Day of Judgment for the Wicked is at Hand”. On May 16, 2005, one day after the general election, the late Meles Zenawi declared a state of emergency and outlawed all public gatherings. He placed under his direct personal command and control all police, security and military forces, and replaced the capital’s city police with “federal” police and special forces. It has been decided that all security forces are placed under a single command and they are accountable to the Prime Minister. I would like to announce on this occasion that, for a period of one month, all public demonstrations and meeting outside the home are prohibited. A directive has been issued to security forces to take severe action, severe action (sic) against those who have not accepted the [election] decision of the people with patience and grace. In the coming weeks and months, Bereket Simon coordinated the implementation of Meles’ Directive with the security, police and military services. Between May and November 2005, hundreds of unarmed protesters were shot and killed by security forces and hundreds more suffered severe gunshot wounds. In June 2005, barely a month after the May 2005 election, Bereket Simon began talking about a genocide that makes Rwanda “child’s play”. It is unimaginable how any person could think the deaths of nearly one million people in Rwanda as “child’s play”!!! On the other hand, Meles was not concerned at all about a Rwanda-style genocide taking place as a result of the protests. In March 2007, Meles told Aljazeera, the killings occurred to repel a “challenge to the constitutional order in Ethiopia and that challenge had to be faced. So, why weren’t the election protesters arrested using normal non-lethal crowd control methods and brought to court? But an official investigation established by Meles and his parliament “conclusively determined the protesters shot and killed and wounded by soldiers and police were unarmed and peaceful and did not commit any destruction of property. The protesters posed no threat to the constitutional order nor were they trying to cause genocide. This was a massacre. These demonstrators were unarmed yet the majority died from shots to the head … There is no doubt that excessive force was used. Many people were killed arbitrarily. Old men were killed while in their homes, and children were also victims of the attack while playing in the garden. established an Inquiry Commission to investigate whether government security forces used excessive force, caused damage to life and property, or showed a lack of respect for human rights during disturbances that occurred on June 8, 2005, and November 1–10, 2005 in different parts of the country. The Commission visited several regions, reviewed police reports, met with prisoners and government officials, made 122 radio and TV announcements to the public, examined 16,990 documents, and took testimonies from 1,300 people. The Commission concluded that 763 civilians were injured and 193 killed. The Commission also reported that 71 police officers were injured and 6 killed. Damage to property was estimated at $512,588. The Commission also reported that more than 30,000 civilians were detained, some were tortured, and prisoners in Kaliti were killed. The Commission reported that security forces fired 1,500 bullets at prisoners, killing 17 and injuring 53. The Commission stated that civilians did not use weapons and reported bank robberies by demonstrators did not take place. Bereket Simon’s birth name is Mebratu Gebrehiwot. He is presently in custody on corruption charges. Bereket Simon was the second-in-command, advisor, confidant, buddy, alter ego, evil twin, second-self, Meles’ left-hemisphere brain and the trigger finger on Meles Zenawi’s iron fist, among other things. According to one report, Mebratu appropriated the name “Bereket Simon” from one Eritrean guerilla fighter who is said to be still alive today. Those who know and have worked with Bereket Simon describe him in diabolical terms, a conscienceless man of extreme depravity and cruelty. He has been likened to Nazi propaganda chief Joseph Goebbles. I would add Bereket Simon was also Meles Zenawi’s Albert Speer, Hitler’s closest friend and confidant who was responsible for the slave labor in the Nazi war machine. That is good news. Bereket Simon is a callous, repressive, deceptive, liar and ruthless individual. I dealt with him extensively in the 2005 elections and will never forget our extremely tense conversation in the afternoon of the 8th June massacre of civilians, in Addis Ababa. Bereket Simon is 1 of the cynical & cruel totalitarians with whom I have dealt in #Ethiopia. Should be tried for his crimes agst Ethiopians! Bereket Simon was Goebbels of #Ethiopia, as Propaganda minister of dictator Meles Zenawi. I will never forget his cruelty on 8 June 2005, with hundreds massacred in Addis Ababa, after stolen elections of May 15. I am for Truth Commissions, but worst criminals must go to trial. So. Finally that criminal Bereket Simon, ex-Goebbels of dictator Meles Zenawi, has been arrested in #Ethiopia. Many can breath better now. Bereket Simon is also known for his utter mendacity, shameless lies, outrageous disinformation and calculated misinformation campaigns. As Meles’ confidant and information minister, Bereket Simon undertook numerous campaigns to mislead the public. After Ethiopian Satellite Television confirmed Meles Zenawi had died in 2012, Bereket Simon went on television and lied through his teeth to public that Meles was merely vacationing following medical observations for minor health issues. He assured the public Meles will be back on the job in just a few days. Of course, for there to have been a “prepared plan” for Meles’ funeral, he must have died days, if not weeks before, to set in motion a funeral planning committee. It appears unlikely that a full funeral plan would be prepared between midnight and early morning when Bereket Simon made the announcement. However, during the many weeks the public was talking about Meles’ absence, Bereket Simon was telling a patently false story that Meles was on vacation and taking care of minor health problems and will be back on the job soon. Meles Zenawi allegedly passed away on August 20, 2012. Meles’ cause of death remains a secret to this day! In my August 5, 2012 commentary, “Day 46: Has Meles Zenawi Gone AWOL?”, I did a forensic analysis of the anecdotal evidence and concluded Meles has been dead for quite some time absent demonstrable evidence he is alive. Bereket Simon is a ruthlessly vindictive man who believed he is so untouchable that he is ready to crucify anyone who even dares to talk to him in a manner Bereket believes is disrespectful. Bereket Simon is the kind of humanoid who sees chaos, death and destruction everywhere, unaware of the fact that he and his TPLF thugs are the fountainheads of the chaos, death and destruction in Ethiopia over the past 27 years. … But the incredible thing is that anyone to have the audacity to say something like this to me, one can see the potential of such individuals to create chaos in the city. So, all those who spread propaganda and people like that must be singled out and we must isolate them. Even those people who have been telling us for a long time that they are our friends in the past.. The single most important question in the trial of Bereket Simon is whether a “massacre” was committed on unarmed protesters in Ethiopia on June 8, 2005, and November 1–10, 2005. The official Inquiry Commission established by Meles Zenawi and his parliament definitively concluded a M-A-S-S-A-C-R-E was committed by police, security and military forces under the direct command and control of Meles Zenawi under his state of emergency decree. How textually different is the “Directive” (if written) from the “state of emergency decree” ? Was the Meles Directive issued orally, and if so who issued ? If the Directive is written, as it appears to have been, specifically what is the language in the order authorizing the use of deadly force against protesters by police and soldiers? What is the exact language of the Directive that was issued to the police and soldiers? Was the Directive revised, modified or suspended at any time? If so by whom? To what extent did the police and soldiers depart from the plain language of the directive in firing at the unarmed protesters? How did the Directive incorporate the language announced by Meles in the state of emergency decree that security and police officials are “ordered to take sever, sever action”? Bereket said “soldiers” were used in the shooting of the unarmed protesters? Is there a legal basis for the use of soldiers for crowd control? As Meles’ top advisor and confidant, what role did Bereket Simon play in the drafting of the directive against the “people who have not accepted the [election] decision of the people with patience and grace”? What role did Bereket Simon play in the dissemination of the directive to the security and military authorities? What role did Bereket Simon play in following up with the implementation of the directive and reporting to Meles about outcomes? The smoking gun evidence points squarely at Bereket Simon, a/k/a Mebratu Gebrehiwot as the point man who implemented the Meles Directive. The evidence shows that Meles and Bereket were the only individuals who made authoritative statements on the indiscriminate killings, massacres, following the 2005 election. The evidence shows Bereket, in addressing questions about the killings, did not offer explanation as a spokesperson relaying secondary information he has received from other sources but as someone with a direct and personal knowledge of the killings and general use of deadly force. The evidence shows Bereket has stated on the record that the killings in the post-election period occurred to prevent a highly likely genocide that would make Rwanda child’s play. Did the Meles Directive authorize the shooting of stone-throwing Protesters (“hooligans”) to protect bus windows from being broken? How did Bereket know and when did he know the protesters were planning to undertake genocide? What evidence did Bereket possess at the time he made his statement that the protesters were planning to undertake genocide that would make “Rwanda child’s play”? Who provided Bereket information on the genocidal plans of the protesters? How did Bereket justify the use of massacres to prevent damage to uses by stone throwing protesters? Bereket Simon’s explanation for the use of deadly force completely contradicts Meles Zenawi’s who stated on the record that the killings were a series of unfortunate events caused by lack of training, professionalism and poor equipment. Did Meles or Bereket lie? Did both lie about the real reasons for the massacres? The state of emergency decree went into effect on May 16, 2005. The first set of killings that were investigated by the Inquiry Commission occurred on June 8, 2005 even though protests broke out immediately after the election. What was the state of civil protests between May 16 and June 8, 2005 when the first massacre occurred? From Meles’ state of emergency announcement, the Directive to use “severe, severe action” against protesters were issued on May 16. But the first massacre occurred on June 8, 2005. What actions were taken by the police and soldiers to deal with protesters between May 17 and June 7 without committing massacres? What specific events and facts occurred on June 8 that did not occur between May 17 and June 7 to justify use of indiscriminate deadly force? Did the attempt by protesters to cause a genocide, if we accept Bereket’s explanation) or the overthrow of the constitutional order (if we accept Meles’ version) occur only on June 8, 2005, and November 1–10, 2005? Since Meles’ claim for the killings is lack of training and professionalism, how did the soldiers and police officers implement the Directive and with what supervision or oversight? The Commission also found evidence police/military snipers used high powered rifles to literally blow the brains of the unarmed protesters. Were sniper rifles authorized for use to deal with the protesters? Who authorized the use of sniper rifles? Why was it necessary to use snipers against unarmed protesters? Meles tried to avoid responsibility by throwing the “untrained and unprofessional police and soldiers” under the bus. But why were untrained and unprofessional soldiers and police given machine guns, AK47 and sniper rifles to control unarmed protestors? Who authorized issuance of these weapons? The Inquiry Commission found, “Old men were killed while in their homes, and children were also victims of the attack while playing in the garden.” How did these old men and children undertake a genocide plan that would make Rwanda’s genocide “child’s play” or threaten the constitutional order? The Inquiry Commission found that on November 3, 2005, during an alleged disturbance in Kality prison that lasted 15 minutes, prison guards fired more than 1500 bullets into inmate housing units leaving 17 dead, and 53 severely wounded. What threats did the Kality prisoners pose to authorities while huddled in their prison cells to warrant the firing of more than 1,500 bullets and killing of 17 unarmed and defenseless prisoners? The Commission reported that more than 30,000 civilians were detained and some tortured following the 2005 elections? Was mass and arbitrary detention of civilians part of the Meles Directive? Who gave the order to undertake mass and arbitrary detentions? Meles said one of the reasons for the massacres was the “under equipped” nature of the police force. What kinds of equipment were the police provided to deal with the protesters. Did the police have riot control gear? Did the police have non-lethal crowd control such as tear gas available to them? From the available video clips of police engaging the unarmed protesters, it is clear the police were clad in full riot gear. Did the police have tear gas and other similar non-lethal chemical agents to disperse the crowd? Colonel Michael Dewar, British Army (Rtd), in his 2008 report, “Modernising Internal Security in Ethiopia” stated 237 police officers were dismissed from their positions allegedly for the use of deadly force. Why weren’t these police officers prosecuted? This fact stands in stark contrast to what the Meles regime routinely does by swiftly prosecuting journalists and bloggers for writing on social media but is unable to prosecute known murderers? Was the 2005 massacre part of a long-term strategic planning of Meles, Bereket and their core allies to consolidate power by hook or crook and cling to power indefinitely. The fingerprints of Bereket Simon are all over the AK 47 and machine guns that were used to massacre unarmed protesters following the 2005 election. The man presently alive who is directly and personally responsible for the massacres of 2005 is none other Bereket Simon! Meles and Bereket had Plan A and Plan B for the 2005 election. In their Plan A they would win the election and things would continue as normal. In fact, the very reason they allowed free elections to take place was because they were absolutely convinced they had wide popular support and would win hands down. In their Plan B, Meles and Bereket were prepared to remain in power by any means necessary. After suffering a humiliating defeat in the 2005 elections, they implemented Plan B. Plan B is straight out of the bush, from their days fighting the Derg, brushed up for the 2005 election. In the bush, Meles and the top bosses of the TPLF did not tolerate dissent, challenge or opposition to their position. They took care of those they suspected of disloyalty or opposition by either jailing them in dark dungeons or simply executing them out of view of the guerilla army or assigning someone to shoot them in the battlefield and reporting them as battle casualties. 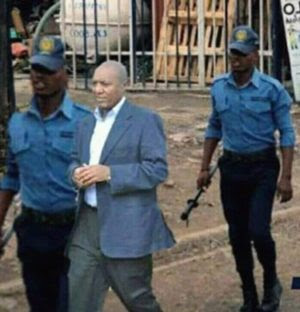 Meles and his TPLF gangsters always believed the only way they can remain in power is by killing, jailing and stealing. This has been proven time and again over the past 27 years. In implementing their Plan B, Meles and Bereket wanted to shock and awe the opposition and the total population with massive and indiscriminate use of deadly force. Meles and Bereket wanted to communicate the message to the population that they will kill, slaughter and massacre as many people as necessary to maintain their gang of thugs in power indefinitely. To put it simply, Meles and Bereket wanted to terrorize the population into absolute submission by demonstrating to them that they are a ruthless, merciless, vicious, vindictive, unforgiving, brutal, vengeful, pitiless, cold-blooded and meaner-than-a-junkyard-dog S.O.Bs.! This theory is supported in many other cases. Meles and Bereket used extreme deadly force against civilian populations in the Ogaden region as collective punishment in 2007-08. In December 2003, Meles and Bereket ordered massacres in Gambella. The fact of the matter is that the Meles Massacres were part of a grand strategy and design to ensure Meles’ and the will remain and cling to power by hook or crook indefinitely. There is an entrenched and pervasive culture of impunity in Ethiopia. No one really gets punished for gross human rights abuses. For decades, gross and widespread abuses of human rights have been ignored and turning a blind eye to the perpetrators has been the standard operating procedure. Because there is virtually no accountability for crimes against humanity, those in power have been emboldened into committing murder and getting away with it. For the last 27 years, Meles, Bereket and their TPLF gang believed they were above the law; indeed they believed themselves to be the law. How the mighty TPLF has fallen. How the mighty and fearsome Bereket Simon has fallen! Bereket Simon revealed his true pathologically narcissistic self when he was arrested for corruption and brought before a judge. Bereket Simon’s single complaint was that he was not getting good food in detention. Apparently, he expected kitfo, tibs and tre siga. Bereket Simon is the same man who watched over millions of Ethiopians face famine, starvation and death over the past 27 years. Bereket Simon is the same man who watched hundreds of thousands of political prisoners die from poor nutrition and medical care. Poetic justice for a man who saw millions face famine and starvation? Real justice is what Bereket Simon needs. H.E. PM Abiy Ahmed is transforming the culture of impunity in Ethiopia with a civic culture of the rule of law and accountability. In February 2018, I, Alemayehu G. Mariam, stand as a witness petitioning to be heard on behalf of the victims of the Meles- Bereket Massacres of June 8, 2005 and November 1-10, 2010. I can hear their cries from 10,000 miles begging for JUSTICE. I call upon the people of Ethiopia to open their ears, hearts and minds and listen to their cries from the grave too. The victims of the Meles-Bereket Massacres deserve JUSTICE! Let us do justice to the victims of the Meles-Bereket Massacres. Let us all join hands and bring Bereket Simon, a/k/a Mebratu Gebrehiwot to trial! We must learn from history.